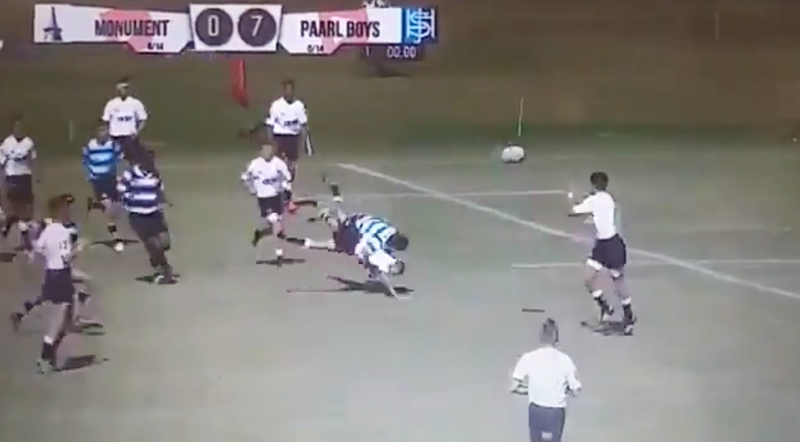 Former Saracens and Namibia flanker Jacques Burger has shared a clip online of an absolutely brutal hit from a South African schoolboy match that’s not for the faint of heart. The short clip, with no sound, shows a player spreading the ball out the backline, before he gets absolutely clattered as he passes the ball – albeit with a perfectly legal tackle. Let’s hope the little guy is ok after the hit because the landing was pretty nasty.